Painted by I. F. Rigaud RA. 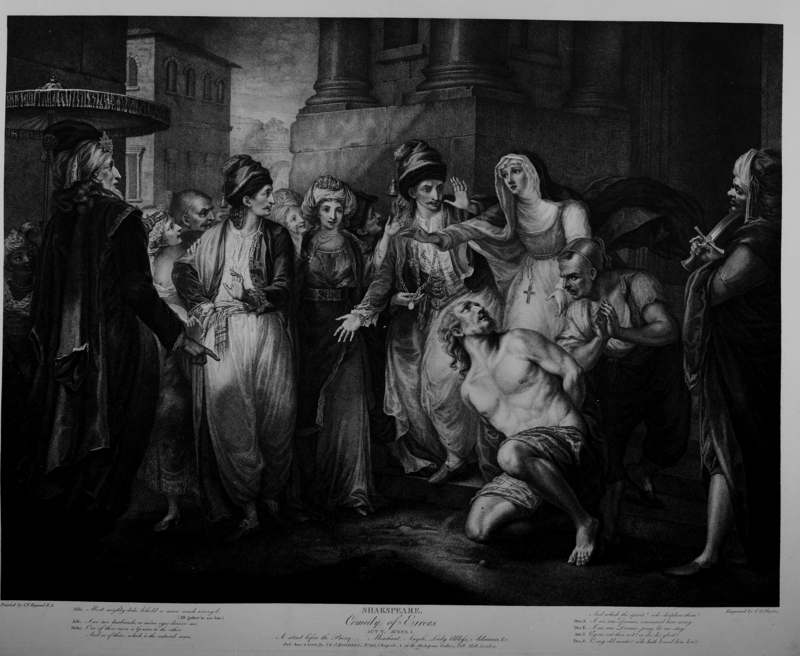 Engraved by C. G. Playter. Adr. I see two husbands, or mine eyes deceive me. Duke. One of those men is Genius to the other. / And so of these: which is the natural man, / And which the spirit? who deciphers them? Dro.S. I, sir, am Dromio; command him away. Dro.E. I, sir, am Dromio; pray, let me stay. Ant.S. Ageon, art thou not? or else his ghost? Dro.S. O, my old master! who hath bound him here?